Washers are perhaps the most important appliances for most families in Ontario since they keep them clean and tidy but as time goes by and they are not maintained properly, their efficiency is diminished, they require more energy to complete each washing cycle and clothes don’t come out spotless clean. Some people consider these things unavoidable but Washing Machine Repair Milton can bring the appliance to its prior good condition through good maintenance and repair services. We can confirm that the life span of your laundry machine will be prolonged and you won’t have to think about a new washer installation any time soon. The condition of any washer in Milton is determined by many factors including the hardness of water and the frequency of its maintenance. Washer service can actually prevent serious problems and our technicians, who are totally prepared to handle the most complex job, can detect and fix on-site any damage. The goal of our washing machine repair service is to reduce the energy consumed and add a few years in the life of the appliance. We are very well equipped and our expert knowledge is exactly what you need when you are searching for professionals to repair washing machine problems. You can count on the expertise of Washing Machine Repair Milton blindfolded. 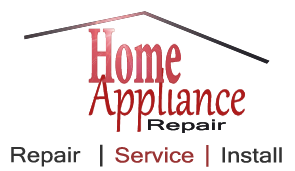 Appliances Repair Milton Ltd.© All Rights Reserved.